Five years ago, Lennaert Nijgh established Benzak Denim Developers, on years of experience in the denim industry. 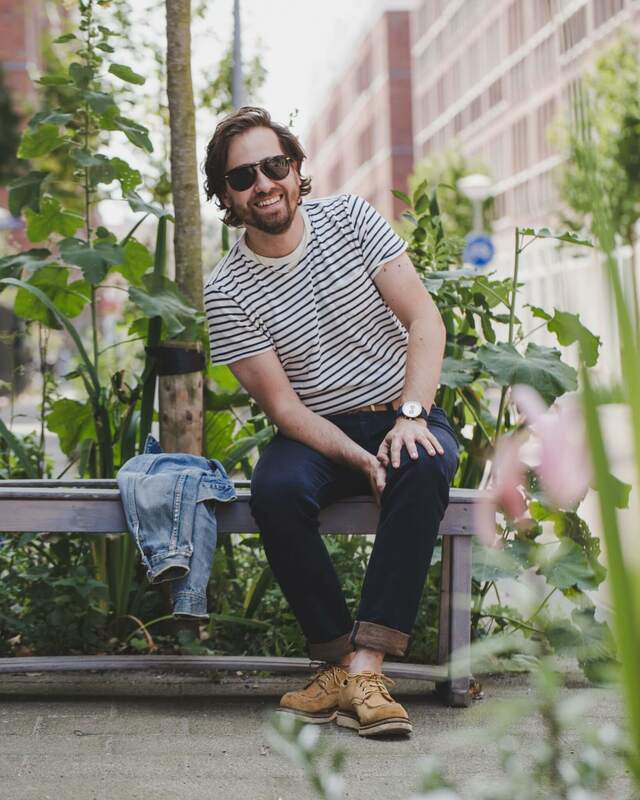 Before he started Benzak, he used to work as a denim developer at a Dutch denim brand. With Benzak, Lennaert shows the world that he is, next to a natural born superstar denim developer, capable of building a one-man brand into a highly sought-after denim brand. Working closely with the Japan Blue Group, Lennaert succeeded in creating a high-quality denim collection, that turned out to be a solid foundation for Benzak as it is today. With high-quality materials, perfect finishing, and smart details, Benzak can compete with some of the most renowned brands in the industry, all within just five years. A few years after the establishment of Benzak, and already most European denim heads were convinced, Lennaert released the ‘European Made’ collection. Made in another country, and not necessarily of Japanese fabrics, but built on the same principals, the ‘European Made’ collection is a smart invention to broaden Benzaks horizons. Today, in an exclusive interview with Lennaert, we will dive into the European Made collection. 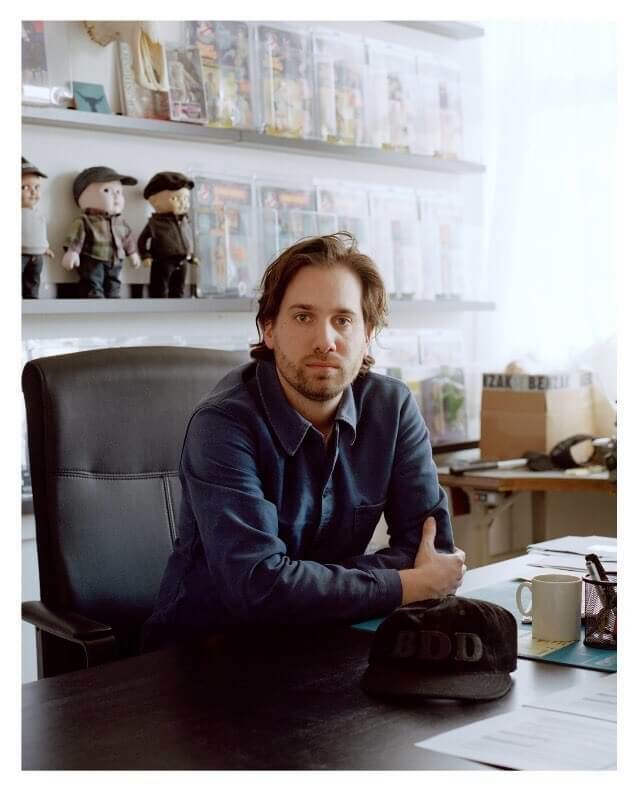 He will give answers to questions like: ‘Why did he decide to introduce the European Made collection?’ And ‘what are the similarities of both collections?’ Hopefully, you will enjoy the interview as much as we do, and make sure to pay a visit to Benzaks webstore after reading. 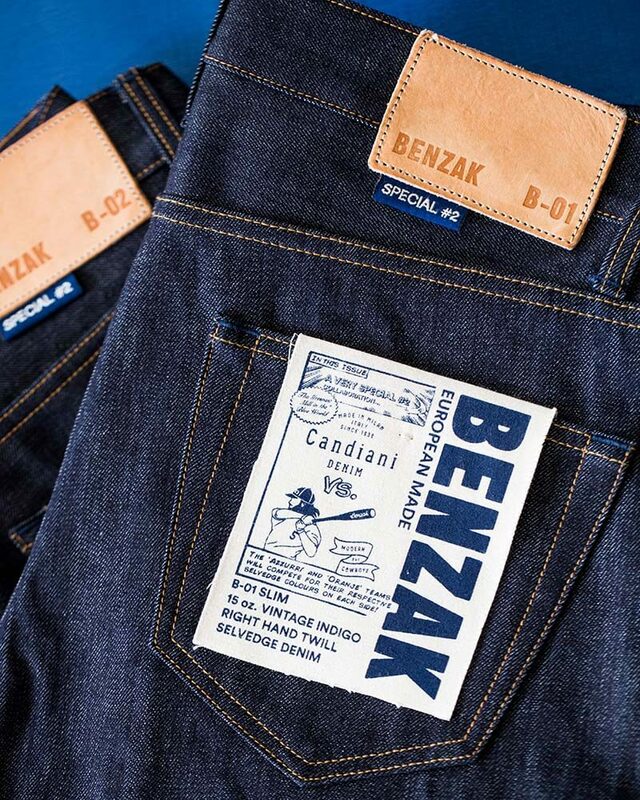 Robin Denim: Five years ago, Benzak Denim Developers started with jeans that were completely made in Japan, now known as the ‘Made in Japan’ Collection. What made you decide to introduce the ‘European Made’ collection? Lennaert Nijgh: The first pieces of the ‘made in Japan’ line were made with one person in mind: myself. I aimed to create pieces that I wanted to wear myself, with the best quality possible. As a denim geek myself, this meant that my collection was made by and for denim geeks. Every little detail matter and is there for a reason; the waistband construction, hidden rivets, chambray pocketing, etc. The production of these jeans is quite time-consuming, and that comes at a certain cost price, which is reflected in the consumer price as well. Our ‘made in Japan’ line retails for EUR 299, which is, despite absolutely worth it, a substantial amount of money. In 2015, after being two years on the market, I received more and more requests for a more price-sensitive product. Most people understand the reasons for the price point of the ‘made in Japan’ line, but a lot of people are not willing to spend this amount of money on a pair of jeans. This made total sense to me because not everyone is a denim geek like I am. The majority of the people do not care about all these little details that increase the price significantly. I had to think of a way to also catch these customers, and that thought has been the basis for the BENZAK – EUROPEAN MADE line. Robin Denim: In Japan, you exclusively work with the Japan Blue Group, where do you produce the European Made collection? Why did you choose this factory, and will you produce solely here? Lennaert Nijgh: We produce our ‘European Made’ line Portugal, in a small factory similar in size like the one we use with Japan Blue Group. I wanted to bring back the production to the European Union but didn’t specifically search for a factory in Portugal. We also had some options in Italy, but in the end, I clicked best with our current factory near Porto. This factory is only used for the jeans (and jacket), but our knitwear fabric is very close to the jeans factory. We were already working with this knitwear factory, so that is an extra reason, to keep all close to each other. But the main reason is the quality of the product they deliver and that they understand our product very well. Therefore, we plan to keep our jeans production solely with them, but for our other product groups, we use different factories, of course. Robin Denim: How does the philosophy behind the ‘European Made’ collection differ from the philosophy behind the ‘Made in Japan’ collection? On top of that, I relocated the production of this product to Europe, which means lower shipping costs and no import fees. All these changes considered, I was able to provide a basic, but a high-quality product for a price of EUR 179, all made in Europe. The introduction opened up a new market for BENZAK, without making any concessions on the ‘made in Japan’ product and helped the brand grow to a six piece collection in 2013 to a 65 piece collection in 2018, with a product for any guy that loves to wear dry denim. While the philosophy of the ‘made in Japan’ line is focusing on high-quality products without making concessions, the ‘European made’ line offers a well-balanced product regarding quality, details, and price. On top of that, both lines complement each other and help me to explain both philosophies even better. Robin Denim: Is the ‘European Made’ collection focused on, for Benzak, a new store/ customer? Lennaert Nijgh: Yes and no. The ‘European made’ line helped me open up a new, much bigger market, but at the same time, it’s not excluding the denim geeks. I love to wear both lines! Actually, I am now breaking in our latest fabric 14 oz. double indigo selvedge, produced in Portugal with a beautiful indigo x indigo woven by Candiani, in our B-03 TAPERED fit. Robin Denim: What are the major differences between the ‘Made in Japan’ and ‘European Made’ collections? And how do the collections relate to each other? Lennaert Nijgh: The ‘European made’ line is based on a stripped-down version of the ‘made in Japan’ jeans. That’s the biggest difference between both lines. Furthermore, for the ‘made in Japan’ line we exclusively use fabrics that are also made in Japan. However, we do not only use fabrics made in Europe for the ‘European made’ line, but we also keep this open to be able to explore the other possibilities too. We haven’t used the same fabric in both lines yet, but never say never! Because the ‘European made’ line is based on the ‘made in Japan’ line, there are some similarities too. We use the same basic pattern blocks for both lines; both lines consist three fits (slim, regular straight and regular tapered). Our signature detail, the hidden 6th pocket, is used in both lines as well. 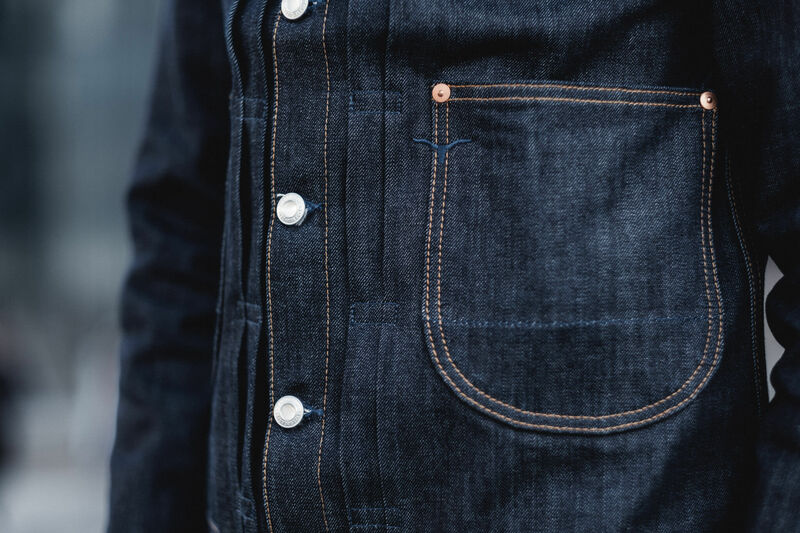 Details like a small selvedge width and tucked belt loops are kept for the ‘European made’ line too. Robin Denim: We only talked about jeans now, but the ‘European made’ line also consists of other products. What’s your philosophy about this? Lennaert Nijgh: For the ‘made in Japan’ line we focus exclusively on jeans. This is our core, and we don’t want to keep this as clear as possible. Because the ‘European made’ line is focusing on a larger group of consumers, we decided to expand this line with apparel as well. It started with some tees and sweats, but this season we launched our first denim jacket too. The line now consists of about 50% jeans and 50% apparel. Robin Denim: We have seen the denim jacket, such a good job. For the Made in Japan collection, you work with NOS (never out of stock) pieces, is the European Made collection more seasonal? Lennaert Nijgh: Thanks! Actually, this jacket, made with our unique #2 fabric, is part of the NOS collection as well. With the ‘European Made’ line, we try to create a well-balanced collection with core and seasonal products. Most of our jeans are NOS, as well as most of our basic tees and heavy sweats. Certain special items, like the stuff from the wool program that was just released for AW18, are seasonal only and will not be restocked after it’s sold out, so we can continue to bring new developments alongside our core offer.